www.ultimatehandyman.co.uk • View topic - Replacing old school heating programer with? Replacing old school heating programer with? Post subject: Replacing old school heating programer with? Hi there folks! First post here but surely not last as I'm coming strong into DIY space. 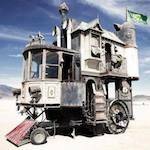 At present I'm battling with an idea of upgrading house heating programmer. located in living room. My goal is to replace it with 7 day programmer and move thermostat and control to corridor and do all that at minimal effort. As landlord isn't going to fund upgrade hence I'm doing it of my own back. Essentially my question is am I correct that this product is correct replacement for my heating setup? Furthermore i never did anything boiler related but studying the subject it looks like fairly straightforward replacement. Is there anything I should be aware when doing this jobs? Is there another line of products that would be cheaply available second hand that would serve for my purpose? 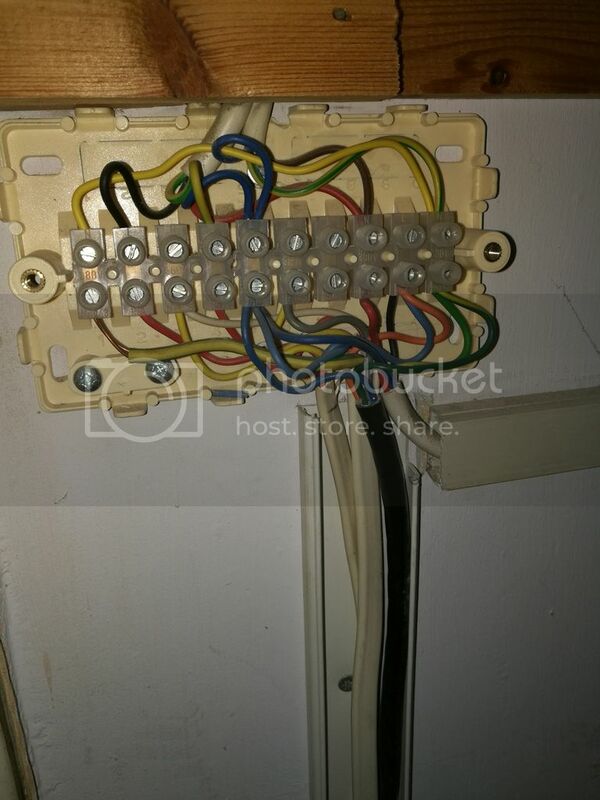 Post subject: Re: Replacing old school heating programer with? Fit a SalusRT500RF in place of your room stat. You can then leave all the rest as it is and put the central heating on 'always on.' Look on eBay for the Salus. this is an awesome advice! Save all the hassle at minimal cost. Thanks a lot for that!! Ok got my SalusRT500RF arrived today and i think i need a bit help regarding wiring it properly up. No. 3 connecting to gray wire at 3 port valve (It's Y plan heating system). 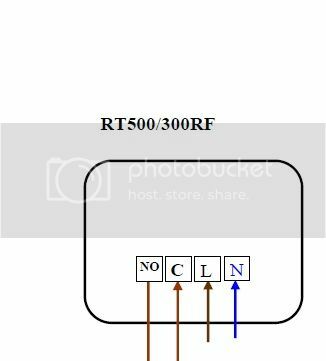 Now, how do i wire it properly to RT500RF? Looking at the instructionsit seems just three wire, I can only guess at old one as don't know make so can't hunt for instructions, but would expect to find blue is neutral if switched line and permanent line are wrong way around the clock will not work, but no real damage, so just need to ensure you have identified neutral correctly. Since the old programmer will still be running water, either link out heating or simply leave heating on 24/7. Looking at the wiring centre and using the colours of the motorised valve. 3 = Room thermostat white so switched line at thermostat is yellow. 5 = One would hope neutral with so many blue wires. 6 = grey cylinder thermostat normally open. 9 = orange this should be line to boiler and pump and the normally closed cylinder thermostat, however not sure about that blue wire? 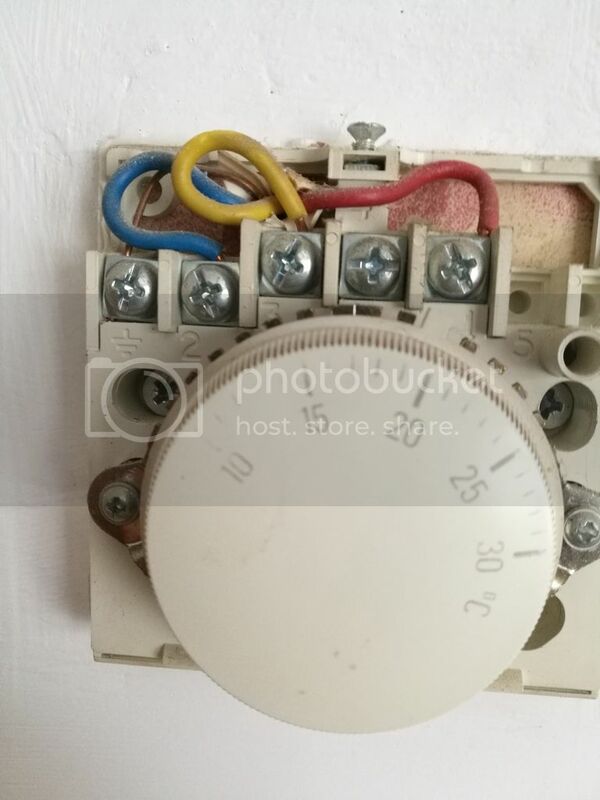 As a result I would not like to say with any certainty what the wires are it should be for motorised valve blue = neutral, green/yellow = earth, white = room thermostat, grey = cylinder thermostat, orange = pump and boiler, however the blue wire in with orange seems to show not standard wiring. Note numbers are listed as on thermostat. Red = permanent line if programmer always left on. I think time settings are held in the battery remote unit, so should not lose time even if switched off, I have a Honeywell Y6630D Wireless Room Thermostat not programmable which was fitted with the central heating, this costs £120 and has anti-hysteresis software and will close down if the coms are lost, however it is not programmable, I swapped it for a Horstmann HRFS1 Programmable Room Thermostat only £67 I thought this was ideal however it does not have anti-hysteresis software and if coms are lost it just continues either on or off and as a result when it went wrong the house was either very cold or very hot, in the past I had used a hard wired Horstmann thermostat which still works great in my other house, but one needs to be so careful with wireless thermostats as there is so much wireless today it is all too easy for a signal to be blocked. Anti-hysteresis means instead of at the set temperature is simply switching off, it starts to switch off/on with a gradually increasing off time before and after the set temperature so the heating is inhibited from over shooting, so the room stays at set temperature rather than alternate as heating cuts in and out. On newer systems with modulating boilers thermostats like Nest actually control boiler output temperature rather than simple on/off so nearly no hysteresis, this is opentherm, some boilers have to use there own make of thermostat to do this, and some will only do it using the TRV where it uses the return water temperature to modulate boiler output. I don't think your boiler is modulating, however the older non modulating boilers don't seem to break down as much, so may be old idea was better? If I was your landlord I would not allow you to swap the thermostat, you are very lucky being allowed to change it. I would keep all photos and old bits in case he want it returning to standard latter. I remember rewiring council houses, some lovely chandlers were fitted, not only did we have to remove them and put them in the skip, the old tenants were charged for the removal and being replaced with standard ceiling rose.